Pensions in Kiso plateau offer the European style accommodation. Each pension reflects owners’ unique personality. Staying at a pension in the great outdoors is extra special. 0 meters away from the Ski slope! Right in front of the Kiso Fukushima Ski site and the enterance of Kaida Kogen (highland) at 1,250m elevation. Enjoy skiing in the winter and highland activities in the summer. Families are welcomed. Various plans available. Welcome to Pension Alpine! Located at 1,200m elevation on Kisokoma Kogen (highland), we are blessed with fresh air, water, nature and beautiful stars at night. Come and visit us to finish your activity (sightseeing, golfing, photo shoots, painting, fishing, hot spring) with the best accommodation and dinner/breakfast. We look forward to your visit. Guesthouse Hilltop is a resort inn on a plateau commanding a snowcapped Central Alps. The owner boasts dishes using local ingredients, local wines and beer of Shinshu region, home-roasted coffee and sky full of stars! When weather permits, the thousands of stars can be seen at a step away from the entrance. Solo travelers are very much welcomed! MT Ontake is an accommodation built of local trees such as Japanese cypress and Sawara cypress . Great view of Mt. 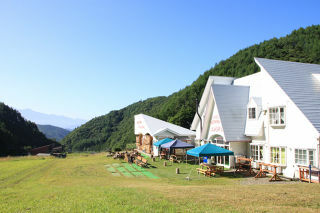 Ontake in the front and Kaida Kogen Recreation Sports center locates nearby. Everyone’s childhood dream - your only own secret base. That is the concept of Yukichi, our resort inn on Kaida Plateau. The owner couple proudly offers western style dishes using local seasonal ingredients, a quiet environment and clean guestrooms with hospitality and friendliness. Located right in front of Mt. 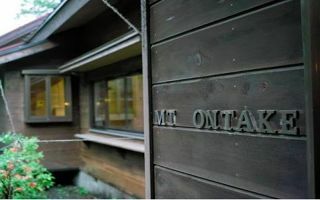 Ontake, it is a chic and peaceful pension on the Kaida Kogen highland where you can see the field of clouds. Refresh yourself with a bath with great view, available to use 24h. Norakuro is a wooden pension located on the way to Kaidakogen MIA ski resort and Yamayuriso, a hot spring facility. (5 minutes drive to the hot spring facility) They have both Japanese room and Western bedrooms and lounge for you to relax. They started a soba noodle restaurant in 2006 where you can have house made soba and mountain trout rice bowl. Standing at the base, it is the best location to view the beautiful figure of Mt. Ontake. Listen to the birds singing, look up to the star-filling sky... Come and refresh in the grand nature. We serve home cooked dishes with local ingredients like mountain vegetables and mushrooms. We welcome you from our heart. HUTTE KREIS quietly stands in the wood of white birch and Japanese larch trees. Enjoy the time flow slowly in the nature. 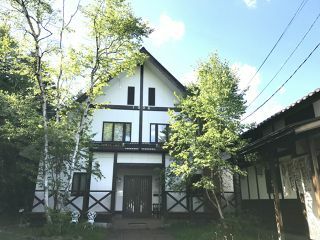 Located on the Kaida Kogen (highland) surrounded by nature, we welcome you with the tasty dishes and warm hospitality. Dishes are cooked with ingredients selected by the owner, recipe made under numbers of trials and experience. Enjoy the delicious dinner till the last bite. The facilities are fully equipped and friendly to families and women. Use Petit Resort Appear like your resort villa.